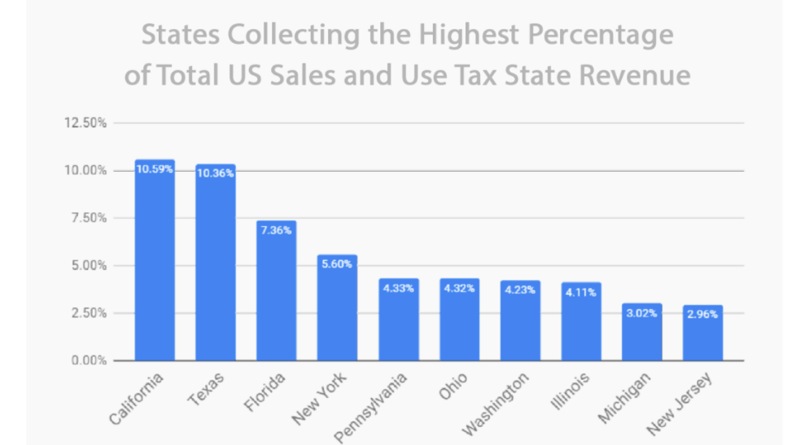 One of the biggest impacts from this new ruling is that sales taxes can now be collected in all states regardless of whether they have an affiliate in them. They no longer need an affiliate or office in those states to establish nexus. “This creates a burden and a liability for advertisers, who will now have to tax in all those states that passed those laws”- Jamie Birch, CEO, JEBCommerce. As a result, states who already had nexus laws in place will pass these new laws quickly. Other states may take more time to get these laws set up. Last month two more states, Georgia and Arizona, began considering bills that would require online retailers and marketplace facilitators, think Amazon Marketplace and Ebay, to collect and remit sales tax in Arizona. 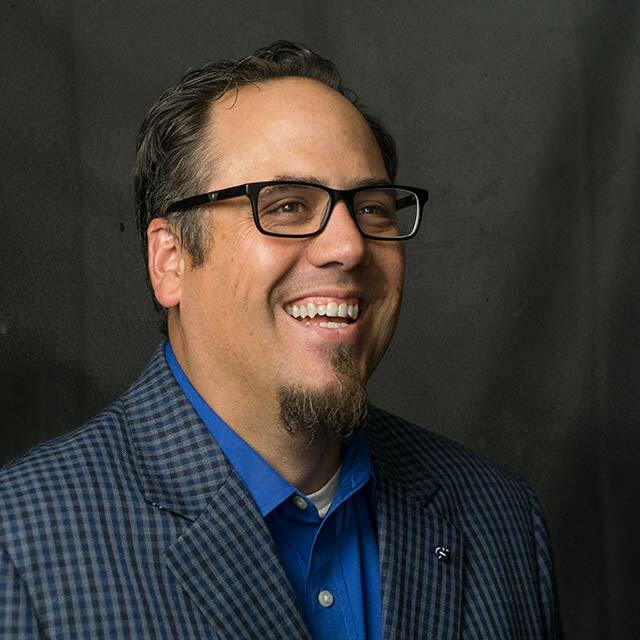 According to www.bookweb.org article on March 6, 2019, the proposed Arizona legislation would expand sales tax nexus to include online sellers with at least 200 transactions or gross more than $100,000 in Arizona. The Georgia House bill 182 would now include retailers with gross sales of $100,000 to collect and pay sales taxes on those sales to Georgia. This would be a change from the current threshold of $250,000. This court ruling now removes the risk of working with publishers in states you previously weren’t able to work with, including a couple some of the largest: California and New York. This means you can now work with huge revenue driving publishers such as Ebates and Honey. So, what are the risks of moving forward, should you open the floodgates or proceed with caution, waiting for guidance from your internal legal teams? While I can’t answer that question, I can provide suggestions on how to move forward with the new ruling in the performance marketing space. 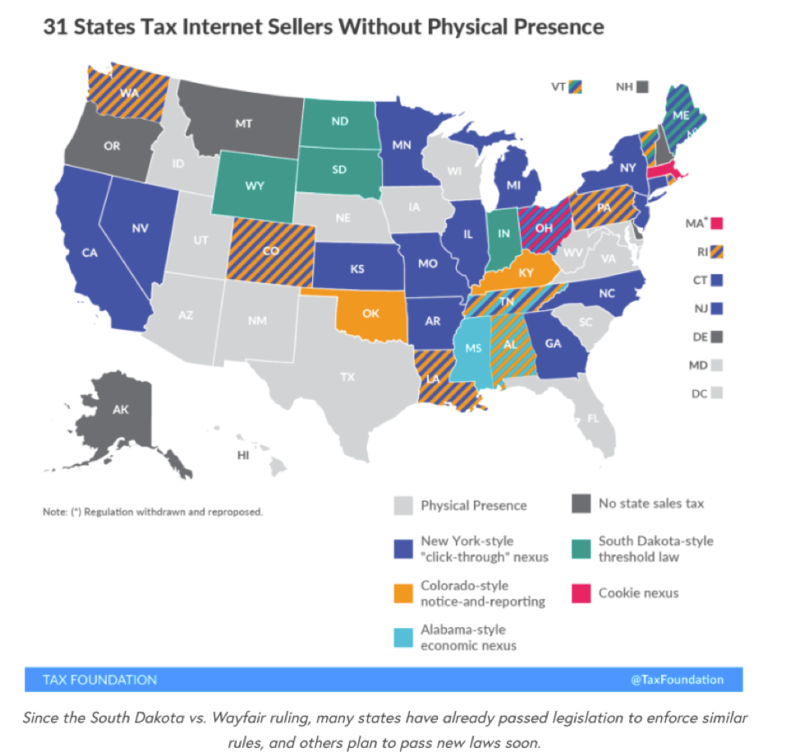 Adding, or amending internet sales tax laws will not be an overnight decision and in the meantime, if you want to work with publishers in states that previously had tax laws, here are a couple of options to consider (after consulting your legal team). If your legal team is still working through nexus laws and you are not able to work with publishers in states previously considered a nexus state, then an affidavit is an option to consider. We have worked with a few of our clients to set up affiliate affidavit that is incorporated into the terms and conditions as a way to confirm they are only working with affiliates in approved states. This affidavit must be approved through your legal team before moving forward. If your team determines that a state’s new nexus law will prohibit you from working with affiliates in that state you have another option. Instead of working with your affiliates on a CPA (cost per action – or sale) basis, you should consider paying-out on a per click basis, or CPC. If you are paying affiliates a baseline commission rate of 5%, say, you can back into a per-click payout. Determine commission per click value: If affiliate A has generated $10,000 on 2,000 clicks, and was paid $500 in commissions (5% of $10,000), you could assign a value of $0.25/click. The key here, is to make sure that you are able to track key metrics, either through your affiliate network, or via back-end systems, to ensure that this is valuable traffic and pencils-out to the baseline commission rate. In this case, you are not paying affiliates for referring sales, but simply compensating them for driving clicks to your site. In many cases, this will allow you to continue working with your top affiliates in a state with nexus tax laws, without having to collect any sales tax. NOTE: Some states are writing new laws to prevent this activity as well, so please be sure to consult your tax team before making any strategy changes. Regardless of the impact the Internet Nexus Laws have on your business, the key thing is to be stay informed, know the facts and the best way to move forward. I would suggest consulting your legal team for the best steps going forward but remember there are options for working with publishers currently in states that have yet to pass Nexus Laws. The threshold for economic nexus varies by state and the TaxJar blog provides a breakdown by state. Due to the Supreme Court ruling, the threshold for taxes will now vary by state based on the sales amount or number of transactions. Stay informed to limit your liability. I would suggest an approach which includes working with your legal team to stay on top of current tax laws to be sure you are making informed decisions on which states to work with, while understanding the impact they could have on your program’s performance. For example, the threshold in California, sales of $100,000 or more than 200 transactions in the state in the current or last calendar year, vary greatly from New York is $300,000 per year in gross revenue AND makes sales in New York in more than 100,00 separate transactions in the last four quarters. If you have any questions about this, or my previous blog post on this subject, don’t hesitate to reach out!